We live in the shadow of the Mayo clinic. Many years ago I heard a statistic that there were 3000 MDs in Rochester, MN where the Clinic is. There are probably 5000 by now. Pretty cool to know there is an answer for identifying just about any ailment just minutes away and they are very good. If you have some weird tropical malady they have you covered. If you have an obscure genetic deficiency they have the tools and tests to future it out. This is kind of an antiquated term but they used to call those that sought the decades of training to heal the body and mind as the, "The Healing Professions". I think that farmers are in the "Healing Profession" too and here is why..
Our oldest daughter Andrea is a music education major in college. Which means she will be a music teacher some day. She loves the teaching environment. She hadn't been on campus two weeks as a freshman before she had been asked to be a tutor for music theory. Doing what you love and getting paid...what a deal. I "get" the teaching part of this equation. You have an experience or expertise you want to share. Whether it is music, farming or personal finances the act of teaching holds incredible value for those being taught and society as a whole. I don't know much about music like Andrea does. But we do share a common value of teaching. Here are 5 reasons teaching is important. The topic of church borrowing comes up at strategic times of growth and change. The Bible is clear on what the path should be...don't borrow. Below are links to Bible Studies on my website in support of this teaching. We often talk about personal and farming financial matters on our blog. Here is a topic for your church to consider for 2016. If your pastors and elders aren't encouraging agressive debt reduction. Please talk to them about searching scripture on this and pray about becoming debt free. The list below will give you 10 reasons to be debt free. 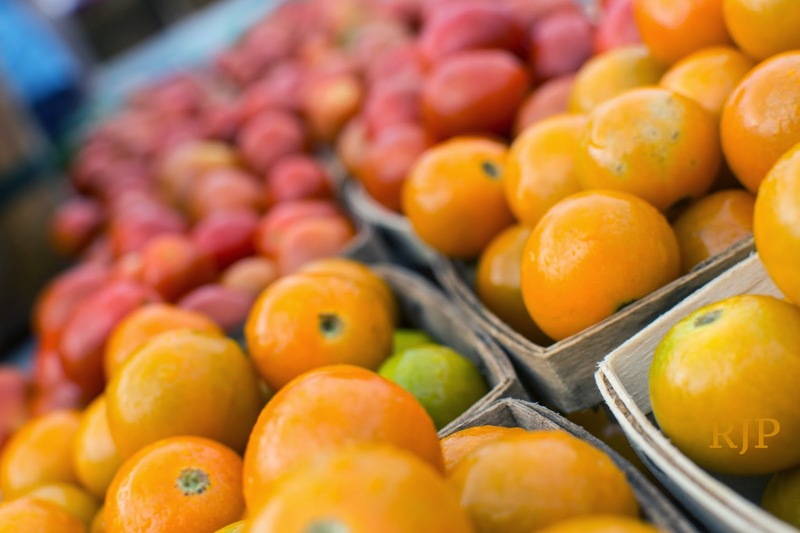 Farm income, and many types of business income, is notoriously seasonal. We do our best to smooth it out by shifting sales to early in the season and doing some canning, drying, smoking and storing to provide some income during slower times of the year. Because of this seasonality many farm families do the largest share of giving to their church and other charities at the end of the year. Beside being scriptural. Generosity changes us as a person from a potentially tight fisted miser to an open handed happy person. You must open your hand to give, but it is also necessary to open your hand so that more blessings can come your way. Farm families also have the possibility of giving of the fruit of their labor. My father used to give and extra wagon full of corn at the end of the year. He would have them make the check out to the church. We give left over produce to Channel One (the local food shelf) all summer long. We often bring extra with them in mind. Again in the fall we take a load of squash or pumpkins. Usually this is produce that God has blessed us with above and beyond our needs for the business. I could wholesale this abundance to a store or something but I like to give it. Kinda of a picture of what God is doing all the time through our paychecks and other income. I wrote an article last year about people I have met and the funny things they do at the compost pile. This is a continuation of that theme. I got approximately 150 pickup loads of compost this last growing season at the waste to energy facility in Rochester. So I am down there a lot. This season was a bit unusual in that I got several loads of compost just last week. The weather was so mild that I could apply it without worrying about frost. There are two major catagories of minerals your body needs they are macrominerals and micro minerals. Macrominerals are sodium, cloride, calcium, potassium, phosphorus, magnesium and sulfer. Microminerals are needed in smaller amounts iron, zinc, iodine, selenium, copper, magnesium, chromium, molybdenum, nickel, silicon, vanadium and cobalt. The phrase "Ashes to Ashes, Dust to Dust" is often used in funerals but doesn't appear in the Bible. It comes from the funeral service in the Anglican Book of Common Prayer. It is based on Genesis 3:19, Genesis 18:27, Job 30:19 and Ecclesiastes 3:20. Those reference all say we are made from and return to dust. The Bible uses the word dust for the elements of the earth. When a body decays what is left is compost and minerals. Not trying to be morbid here, those are just the facts. How do these minerals and other nutrients get into our bodies in the first place. I'll bet you are way ahead of me here. They come from the foods we eat. Did you know when the cell utilizes nutrients there is an ash formed from the metabolism of the nutrient. Nutritionists talk about some food being alkaline and others being acidic. It is this ash that they are talking about. So when they say limes are alkaline even tho they taste very tart and acidic, it is the ash that is alkaline. I'm getting off track a little here as I wanted to talk about soil. "He led no armies into battle, he conquered no countries, and enslaved no peoples...Nonetheless, he exerted a degree of power the magnitude of which no warrior ever dreamed." A quote from the Edison.com website. Edison was a prolific inventor and businessman. His inventions included the phonograph, motion picture camera, the light bulb and perhaps the invention that did more to shape modern society than even the light bulb was electric power generation and distribution. We know from history that on Monday, September 4, 1882 at 3 pm on Pearl Street in Manhattan, NY. That Edison's first power generation network was engaged. This and subsequent improvements were a breakthrough development in what was to become the industrialized world. But there was another unintended consequence of this breakthrough that was to affect the health of the American family for generations to come. Remember when you were little and mom or dad had you stand by the door to the closet in your bedroom and measured your height. This became a measure of progress for your growth. Your siblings were likely recorded in the same spot. This may have been the first time you encountered the measuring stick, but it certainly wasn't the last. Welcome to the fourth week of winter market. 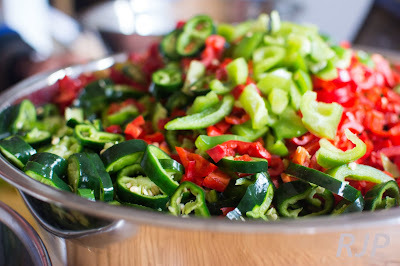 This picture in this week's market menu are the fresh peppers used in our Pepper Relish. Lots of reds and greens for your holiday stocking stuffers or entertaining.We love to use these on sandwiches, salads or on a relish tray. We still have an excellent selection of pumpkins so don't forget the pumpkin pie, here is a link to 15 different recipes we have developed for pumpkin pie. From classic to low carb, these are great creative ways to work a little pumpkin into your life. DNA is some pretty amazing stuff. It was only recently that the human genome (DNA) was mapped using super computers here in town at the Mayo Clinic. I know the guy that lead that team of scientists. It is very important that our DNA replicate faithfully if we are not going to have genetic issues and health issues in general. Many of our cells replicate frequently. Our eyes, for example replace all the cells on the surface of the eyes every three days. The villi in the intestine are replaced every 5 days. All the cells are new every two years. So it is very important that the DNA has the right raw materials to reproduce itself faithfully. I've been asked quite a few times this fall whether you can save seed from our squash and pumpkins. Don't forget the pumpkin pie, here is a link to 15 different recipes we have developed for pumpkin pie. From classic to low carb, these are great creative ways to work a little pumpkin into your life. November is the best time to pick the best carrots and parsnips of the year. Can you guess why? Frost! You need a few hard frosts to bring out the sweetness of those carrots. The children call our carrots "candy carrots" because of this crunchy sweetness. Here is a link to an article on our web site about why carrots are sweeter with frost? I was talking to one of the leaders in our church last Sunday and he was talking about the potential for certain demographics (age groups) to leave for altrnate venues if they aren't invested in the church. I could see the same thing happen with the farmers market customers. When Trader Joe's opened or the Food Coop moved there was a tendency for people to try the new thing. Don't get me wrong these are good stores and they have many products you can't get at the farmers market, so we support them too. 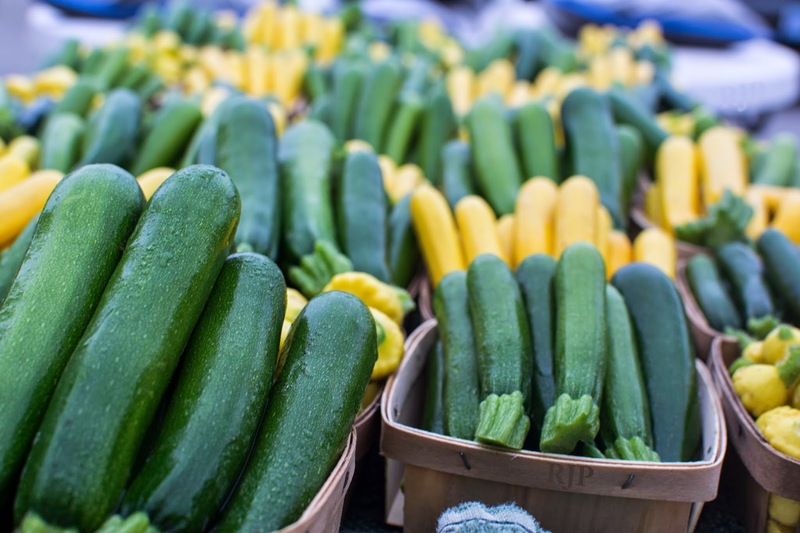 But how can you get your customers invested in the farmer's market. We have some dedicated customers that would come to the market even if it was pouring rain (and they do). Welcome to winter market. Fall greens are amazing: arugula, baby spinach, lettuce, baby kale, red russian kale, cilantro. All are at the perfect baby baby size. November is the last call for planting Garlic in Minnesota. 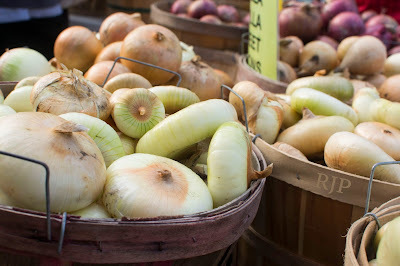 Here is is a link to an article on our website for How to pick seed garlic and plant. You often think of drying early and mid-summer vegetables and fruits such as tomatoes and beans. The dehydrator is a work horse that can continue into the fall. Have you ever heard someone say that their peppers were way hotter than normal this year because we were in a drought, or the beets were way more beetier because the gophers took a bite out of them. Radishes are often thought of as a spring vegetable. But they put on an even better performance in the fall. They can get quite large without getting woody or pithy. Anchor is typically a seafaring term used for a device to tether a boat to the bottom of a body of water. I like to use it to talk about roots. If the root is healthy the plant is healthy. Wisdom from Mr. Miyagi the sage of the "Karate Kid" trilogy. Have you ever gone out after a good rain to pull weeds because it is easier. The rain loosens the soil and lubricates the roots so they have less "anchoring" ability. There are lots of things in life that are good for you that you are never going to feel like doing. It is like a ten year old boy who doesn't remember to brush his teeth or the twelve year old girl who doesn't feel like making her bed. Scientists call the act of changing a behavior, activation energy, meaning it takes effort to change a behavior. Behavioral psychologists say if you practice a new behavior for 21 days you can establish a new habit in your life. Mid-October is the perfect time to plant Garlic in Southern Minnesota. In addition to great eating many of our customers use our garlic to plant for to their own gardens. Garlic is is a close cousin to many of the bulbing flowers like tulips and crocuses and is planted in the fall like those flowers are. The varieties we plant, over winter great here. 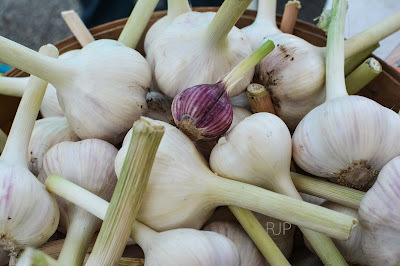 Here is is a link to another article on our website for how to pick and plant seed garlic. How to pick seed garlic and plant. Hot, hot, hot...Reed picked a bushel of habernaro and poblano peppers this week. If you are looking for a nice fall recipe to use some of those poblano peppers is is one. Brian's corn bread and Poblano recipe. If you took the time to read clear to the bottom of Market Menu I'm going to include a thoughtful article from our website archives. This week's "thought for the day" is entitled Living Like No One Else. You use the outer immature green husk of the black walnut to make a salve with powerful anti-fungal properties. My main purpose is a natural replacement for athletes foot cream. I've been waiting patiently for the walnuts to get ready for harvest. They can be picked any time in September or October in here Minnesota. First you make an infused oil. Pie pumpkins are one of the staples of fall. 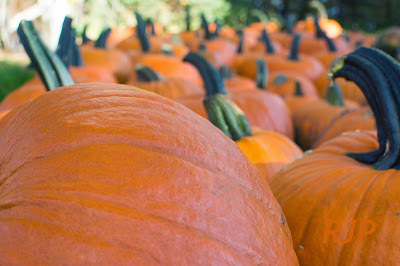 We have several heirloom pumpkin varieties. Look for the standard New England Pie and the less common Winter Luxury Pie (with the netted outer shell). Both are great pie pumpkins. I think the Winter Luxury are a little sweeter. Here is a link to 15 different recipes we have developed for pumpkin pie. From classic to low carb, these are great creative ways to work a little pumpkin into your life. We picked 5 baskets of tomatoes Friday. These are great for canning, salsas and sauces. 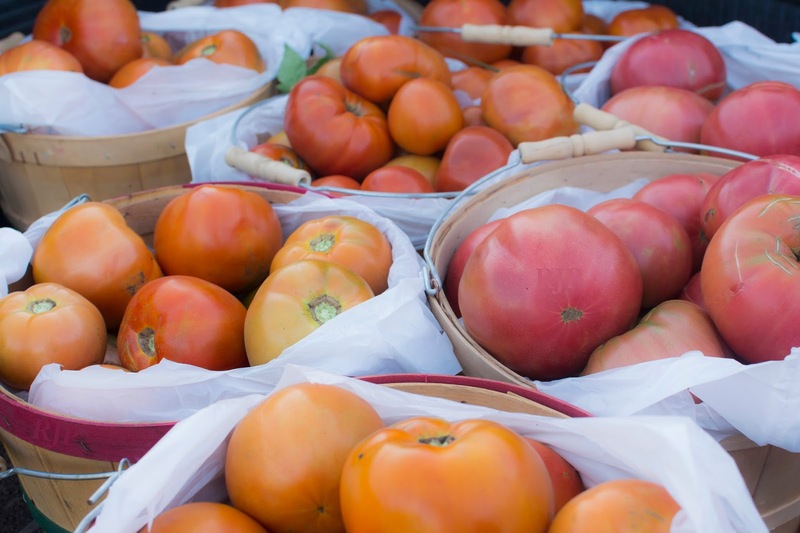 We have lots of slicing tomatoes and heirloom tomatoes for canning. They are winding down, so get them while we still have a good selection. Hot, hot, hot...Reed picked a bushel of habernaro and poblano peppers this week. If you have been watching your black walnut trees it is time to harvest walnuts that you are going to use for salve or tincture. 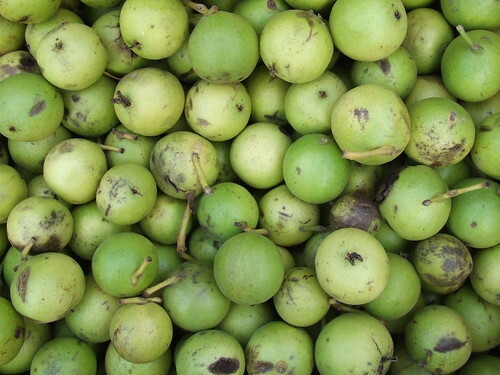 Black walnuts are very good for parasites and anti-fungal. Black walnut salve and tincture are a natural way to deal with them. The active ingredients are in the outer green husk (not shell) of the walnut. At its heart the pumpkin pie we are all so familiar with is a custard. With two to four eggs and cream (or sweetened condensed milk) it is a rich dessert. When we have extra filling we often fill custard cups without crusts, for a snack or breakfast treat. Below is a link to our favorite pumpkin pie recipes. Beets as a food go way back to the beginning of recorded history. They grew naturally along the coasts of the Mediterranian. The beet greens were the first part of the plant that people would consume. The beet root was not cultivated until the ancient Romans. In the 1800's the natural sweetness of the beets was cultivated and eventually was used as a sugar source. Napoleon was one of the first to use beets for sugar after the British restricted sugar cane availability. This started a love affair with beets as primary source of sugar. Unfortunately many sugar beets are now genetically modified. 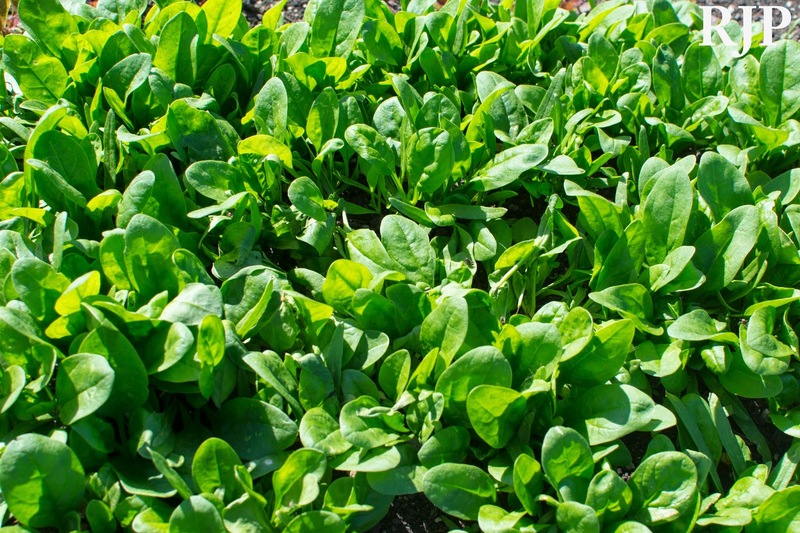 New beds of greens this week: wild arugula, regular arugula, baby spinach, lettuce, baby beet greens, cress, baby kale, red russian kale, cilantro. All are at the perfect baby baby size. Greens can be hard grow this time of year, so we are happy to have such abundance. We picked 40 pints of cherry tomatoes this week. No sprays, no chemicals, just pure goodness. Don't forget the basil to use with your tomatoes. This quote from Zig Ziglar is one of my favorites. This applies to farms workers or office workers alike. We have had some great farm workers over the years, but a few that really didn't thrive. I've especially noticed that students that work for us that don't want to be here do not progress well in their training and often use any excuse to miss a day. I test my soil with plants. Soil scientists have learned to test soils for various nutrients. This is done by using strong chemicals to strip off the nutrients or react with the nutrients in the soil and establish a quantitative measurement. I'm always a little skeptical that the strong chemical processes can correctly detect nutrients available to the plants in a organic system that uses biological processes to make nutrients available. We picked 60 pints of cherry tomatoes this week. No sprays, no chemicals, just pure goodness. If you cut me I bleed farming. It is in my bones. We have had some really great sunsets this summer. Our dining room faces the setting sun. When we have these neat cloud formations at dusk you get some amazing sunsets. Some people buy a cabin up north in Minnesota and spend hours driving to get there every weekend. I heard a sermon recently where the pastor used the phrase “The Ancient Future”. He was preaching on the Song of Solomon and he had everyone from teens to our senior saints sitting on the edge of their seats. The “Song of Songs” is a story for another time. The phrase “The Ancient Future” was used in conjunction to the author Solomon and another book he wrote called Ecclesiastes. Where it says there is nothing new under the sun. I think we have forgotten more in agriculture than we have learned and we may need to get back to our roots to keep our planet and our people healthy. We had a great sermon this weekend about work as an extension of our worship to God. Pastor Steer at Autumn Ridge Church reminded us that God commanded Adam to work in the Garden of Eden. I especially like that fact that the initial concept of work was an agricultural endeavor. It was both plant and animal based. One of the first tasks that Adam was given was to name all the animals. I do not think this was a shallow task like calling all the beagles Snoopy or the cats Garfield. I think this was a deep intellectual excercise of organizing the taxonomy of "all creatures great and small". 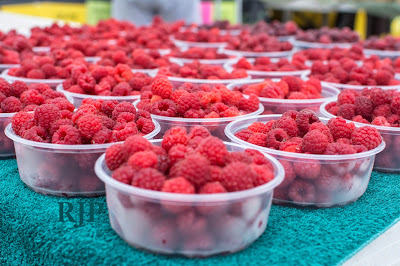 We have been picking 20 pints of raspberries a week. No sprays, no chemicals, just pure goodness. We picked 40 baskets of tomatoes Friday, most of these were Roma tomatoes. These are great for canning, salsas and sauces. We also have lots of slicing tomatoes and heirloom tomatoes. We have been a little short on greens the last few weeks, especially arugula and spinach. I started harvesting new fall beds this week and the are at the perfect size for you holiday salads. If you didn't get some of our Ambrosia sweet corn last week you missed a treat. See us this week for fresh picked, chemical free, no sprays and no bugs. We have enough corn this week for freezing. We had some for supper Friday night and it is amazing. This will be our last week of sweet corn. Okra production has tripled from several weeks ago. More is merrier when if comes to Okra. I made some Okra pickles this week. French Fillet beans are the best beans on the planet (tender, pencil thin and no strings). Just started a new fresh row. A weed is a plant growing in a cultivated area that wasn't planted or intended by the farmer. So a corn plant growing in a soybean field is a weed and arugula growing in the spinach patch is a weed. Modern agriculture uses very strong and toxic herbicides to eliminate these plants growing in the wrong place. Sometime only a few onces per acre will eliminate all but the desired crop. I don't get too hung up on weeds. 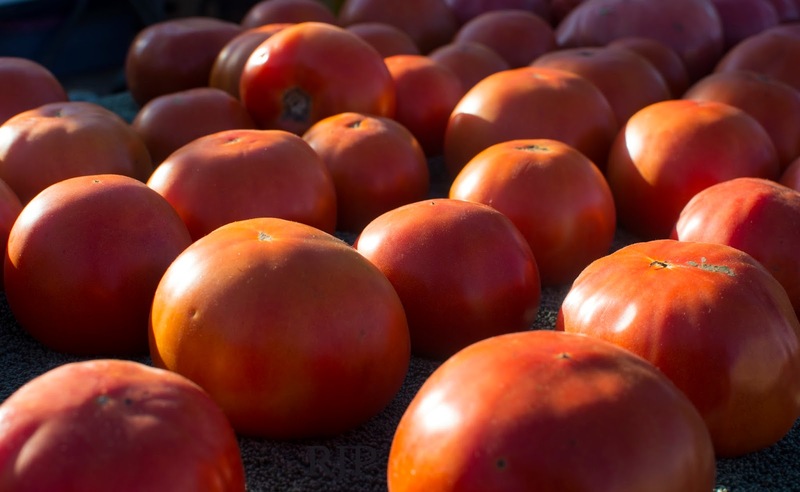 We picked 32 baskets of tomatoes Friday, most of these were Roma tomatoes. These are great for canning, salsas and sauces. We also have lots of slicing tomatoes (shown below) and heirloom tomatoes. Carrots are back, Oh Boy, are they back. The candy carrots continue to impress this farmer with their sweetness, flavor and that perfect carrot crunch! If you didn't get some of our Ambrosia sweet corn last week you missed a treat. See us this week for fresh picked, chemical free, no sprays and no bugs. We have enough corn this week for freezing. We had some for supper Friday night and it is amazing. Summer time travel is full of road work and we found our share on my college visit with Reed to Purdue. Detours are associated with dirt, delays and danger. Road kill in Iowa and Minnesota typically means a criter that was killed by a vehicle on the road. You know road kill. Could be a deer, raccoon, rabbit or skunk (whew). If large and in the wrong place they can be quite hazzardous. In Illinois on the way to Purdue we hardly ever saw critters. Reed had a good idea when we were traveling a few weeks ago. He said I don't understand why there isn't a machine they can drive along at highway speed that can sense the need for a patch, crack repair or repainted lines. Use cameras, then apply the needed material as you go. They would be able to fix roads in no time with little or no down time. You wouldn't need all the cones and signs and other trappings of summer contruction. At first I thought this idea might fit in the catagory of the robot he wanted to design when he was 10 to pull weeds on the farm, so he didn't have to do it. This technology is now available by the way and will likely be implemented as this technology becomes more cost effective. But in the case of road maintenance I think he might be on to something. The corn crop has been excellent this year. We had a few ears left over from market last weekend so I made corn relish. Also used a few red sweet peppers and sweet onions. Academia is known for leading edge thinking, but how about leading edge lab space, class room space and computer resources. My experience is “not so much”. We saw some pretty creative and leading edge student support areas, class rooms and labs when we were at Purdue a few weeks ago. Granted this was their newest building, with cutting edge building design, glass walls, white boards everywhere (even the horizontal work spaces), fully decked computer and projection resources in the class rooms, even social media enabled lectures, where the students could tweet questions or requests for greater explanation. We later walked through the Chemical Engineer building where we saw the typical 50's architecture and less than cutting edge equipment. I know our tour was carefully crafted to put the best possible Purdue in front of the prospective student (and their parents). But there were some ideas there that I'd love to implement in my work space. Just so you know I was listening on our recent Purdue campus tour with Reed. Here are some little known facts. Originally Reed and a friend were going to go to Purdue by themselves. Then parents started worrying about things that could go wrong. It might rain, the windshield wipers might not work, the hotel might not accept cash, we might have a lunar eclipse (though none was planned), or there might not be any bannanas in Indiana (Reed's favorite food. Minions seem to like them too). So I volunteered to go along. Reed and I went on an adventure Monday. Reed is a high school senior this year and starting to look at colleges. Reed is interested in engineering. He has a teacher that he likes and respects that attended a school quite a bit east of where we live. The school is in Indiana. Can you guess which one. I asked Andrea to write this article for our website. She was a little reluctant to do so because "we aren't supposed to talk about money, right". I told her that her ideas on how to fund her college education could be very helpful to other students. Her approach is very entrepreneurial and unique. Andread started her own business. She developed a whole series of curriculum for a broad age-range of students her first summer out of college, and she has been implementing this vision for teaching young people about music and music theory. God has been blessing her vision academically, financially, and spiritually as she serves her students and their parents through these classes. Andrea is a double major in Music Composition and Vocal Music Education at The University of Northwestern in St. Paul. She has a 2-inch thick binder full of very positive evaluations from her students and recommendations from her student's parents, from these summer classes she has been teaching, and she hasn't even started her student teaching yet. As you can tell she is a very talented teacher and a very hard worker both in the classroom and on the farm. Some things just don’t seem possible. Like graduating from college without debt. Right? With the price of universities all across the country skyrocketing, there is no way to go to a university for 4 years without at least a LITTLE debt, is there? What would your world look like if you could make $10,000 in one summer?